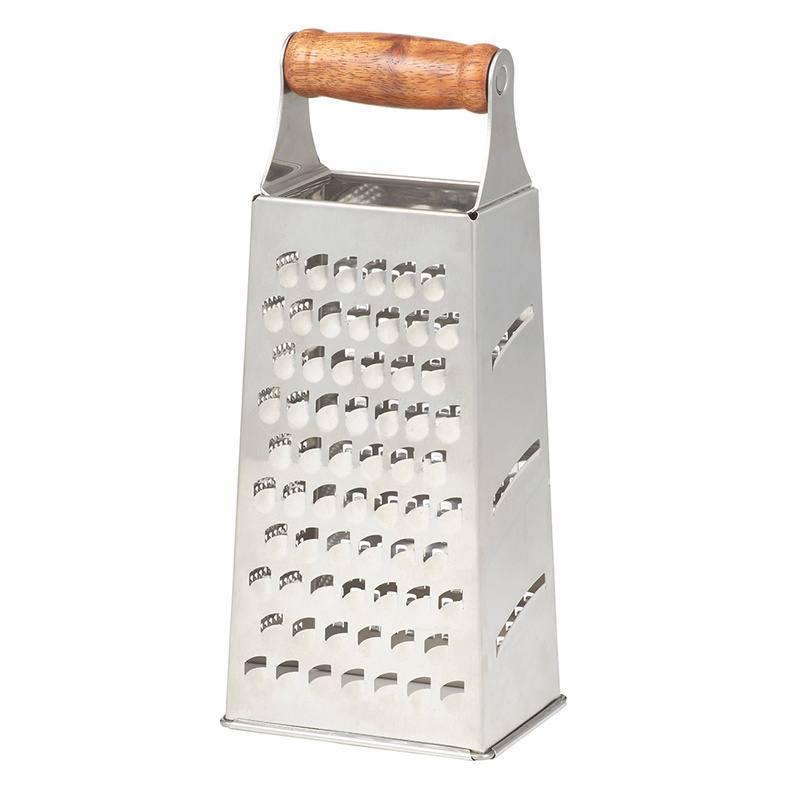 Grate your way to kitchen success with the Eliot Deluxe Box Grater. 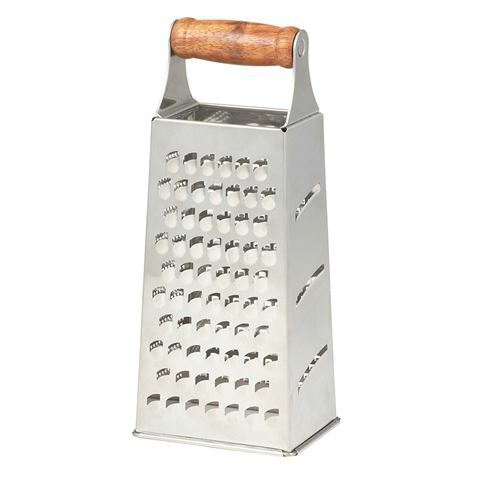 Made from acid etched stainless steel, this grater ensures a super sharp finish when grating your vegetables, cheese and other yummy ingredients. Crafted from acid etched stainless steel with a wooden handle. Hand wash and try thoroughly. Dimensions: 24cm (h) x 10.5cm (w) x 8cm (d).